About Me | Wilmington Real Estate | Alan B. Blake, Jr. 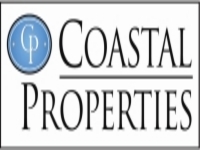 I specialize in representing my clients in the purchases and sales of single-family residences and income property within the cities of Wilmington, Wrightsville Beach, Carolina Beach, Castle Hayne, Kure Beach, Fort Fisher, Rocky Point, Hampstead, and Leland. I keep current of all transactions in these areas, and I'm also very knowledgeable with the local schools. I'm a Wilmington native having been born and raised in the local area. My youth was filled with extra-curricular activities and organization centered around school, church, and athletics. I graduated from University of North Carolina at Wilmington with a degree in Business Administration. I am a retired Commander from the U.S. Navy Reserves with 27 years total service. As a full-time Real Estate Broker for over 22 years, I am committed to giving you prompt, courteous, and my best service. Current hobbies of mine include spending time with the family, water skiing, boating,and volunteering with church functions.